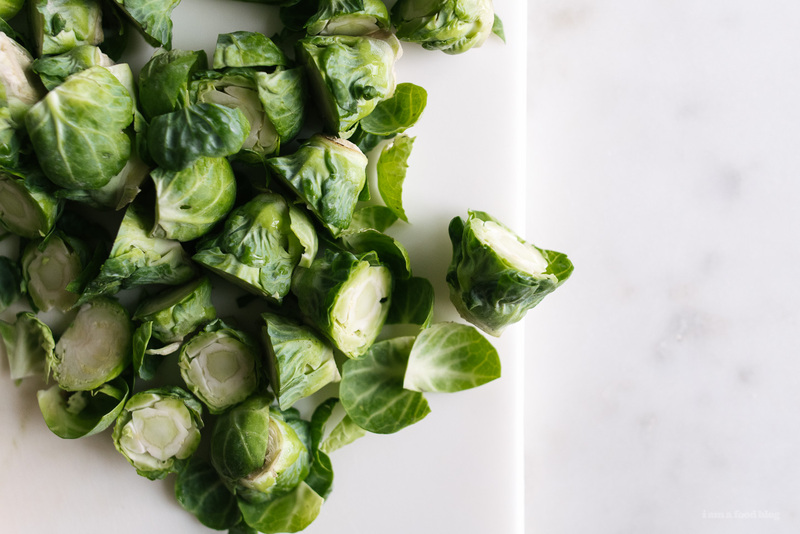 Fresh and feisty, these sprouts are a great side dish for Thanksgiving. Or you could do what I did and make a meal out of them, because pan-roasted brussel sprouts rock! Mike and I went to watch Arrival the other day. Have you guys seen/heard of it? It’s based on a short story and while I really enjoyed it, Mike was a little more, meh. The basic premise, without giving anything away, is that aliens arrive on earth and a linguist needs to figure out how to communicate with them and why they’ve come to earth. It fits right into my obsession with post apocalyptic/sci-fi type things. I’m always really interested in book-to-movie adaptations. Usually, if I’ve read the book first, I tend to think the movie is questionable. If I watch the movie first and am intrigued enough to read the book, I like the movie better. Anyway, in this case, both Mike and I read the short story after we watched the movie and it was fun to discuss what we thought worked and didn’t. Anyway, Arrival doesn’t have anything to do with brussel sprouts – the aliens aren’t even green in the movie. 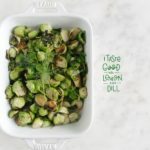 These sprouts are just a good little side dish that wants to hang out with the big boys at the Thanksgiving table. They’re made entirely on the stovetop, which is always a good thing come the big day, since something (ahem, yup, I’m looking at YOU turkey) takes up valuable oven space. They’re bright and sunny thanks to lemon zest and juice and herbaceous thanks to a huge amount of dill. 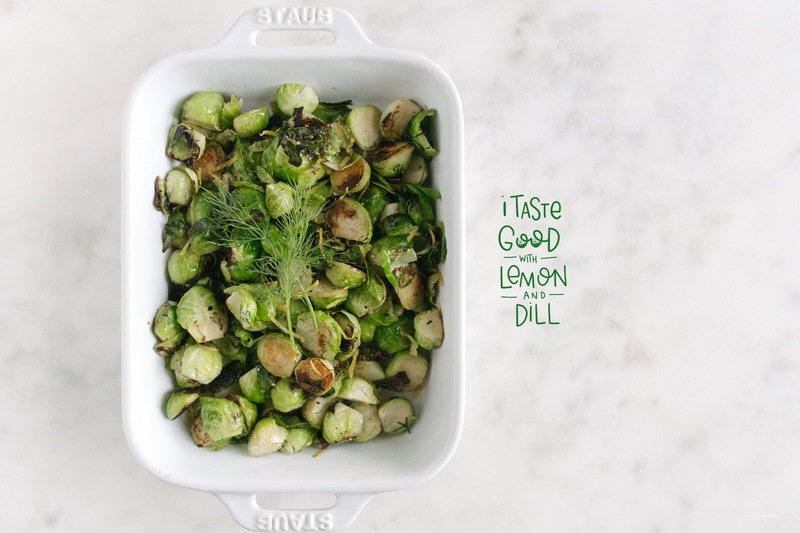 Lemon-dill and caramelized crisp sprouts: winner winner! salt and freshly ground pepper to tasteI like to chose smaller sprouts, they’re more tender and they cook faster too! 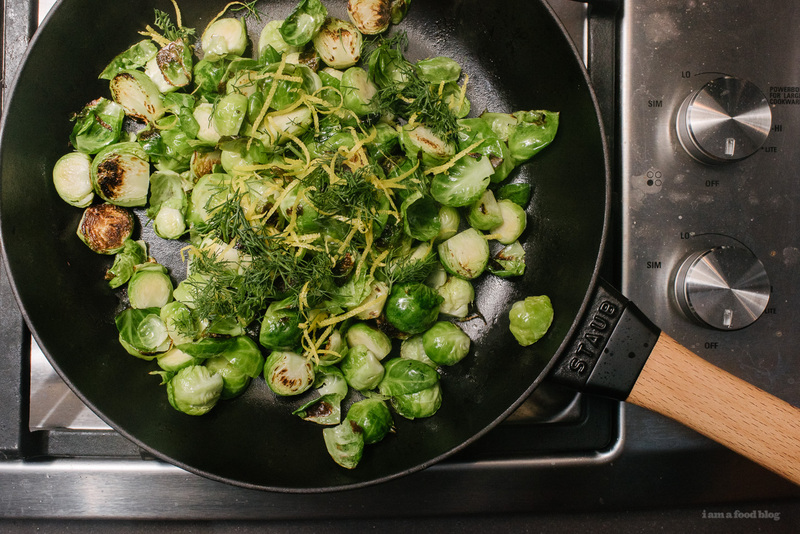 In a cast iron skillet, heat up the oil over medium high heat. 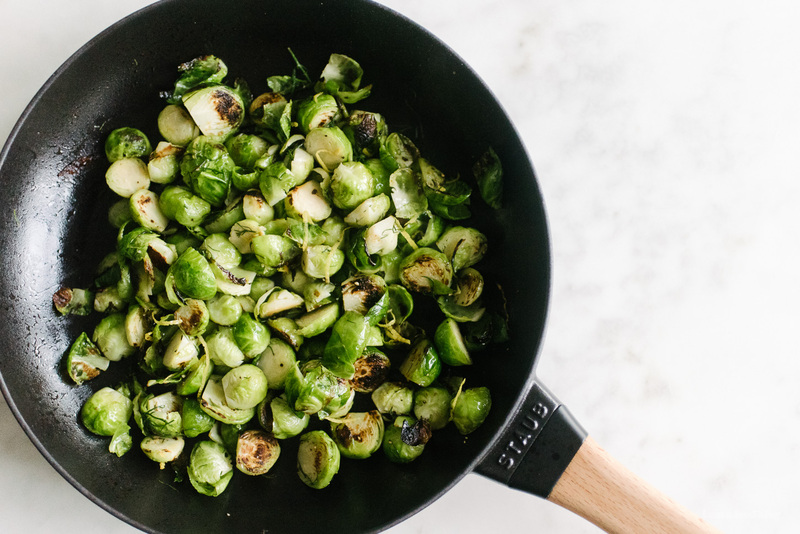 When hot and shimmery, add the sprouts, cut side down. Turn the heat down to medium and sear until golden, about 3-4 minutes. Stir and cook the other side of the sprouts until brown and tender, another 3-5 minutes. 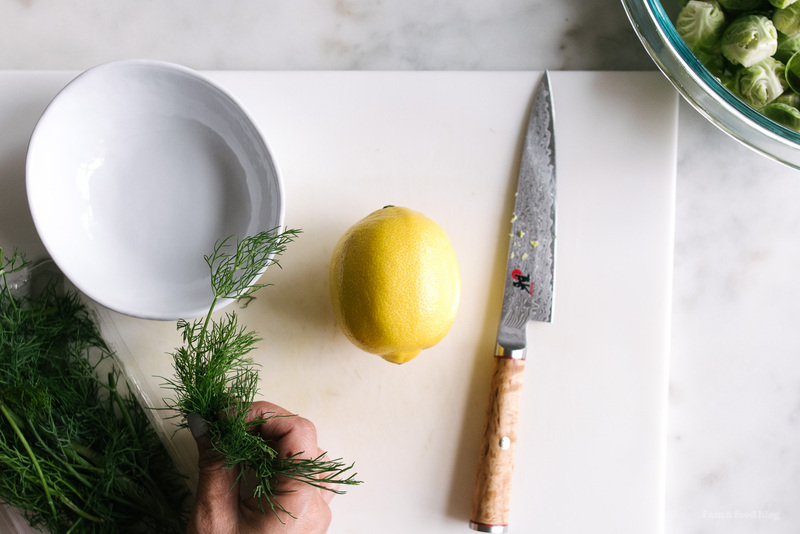 Remove from the heat and toss with lemon juice, dill, and zest. Season with salt and freshly ground pepper to taste. Enjoy hot! I was expecting something more complicated but this sounds so ready I just have to try it! Do you think this would work with other herbs as well?